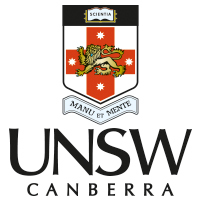 The University of New South Wales (UNSW) is one of Australia’s most respected universities. Our focus on real world research coupled with industry support sees us ranked as one of the world’s top 50 universities (45 in the 2018 QS World University Rankings). UNSW has proudly provided education services to the Australian Defence Force in Canberra for 50 years, primarily through our unique partnership at the Australian Defence Force Academy (ADFA). Our high-quality undergraduate degree programs in Arts, Business, Computing and Cyber Security, Engineering, Science, and Technology, prepares midshipmen and cadets (ADFA Trainee Officers) for their leadership roles in the Navy, Army, and Air Force. In 2016 we opened our specialist, accredited undergraduate Engineering and Engineering/Science degree programs in Aeronautical, Civil, Electrical, and Mechanical to non-Defence students, and continue to provide both Engineering and Computing and Cyber Security undergraduate programs to students supported by the Defence Civilian Undergraduate Sponsorship (DCUS) scheme. Our undergraduate students study together and are provided with a unique education experience, access to custom-built facilities and resources, outstanding industry networks, and graduate with a degree from one of the top universities in the world. At UNSW Canberra you’ll enjoy lots of benefits, like world class training, great pay, ongoing job security and the opportunity for career advancement. Watch our interview with UNSW Canberra at the 2018 Canberra ACS Seminar below!